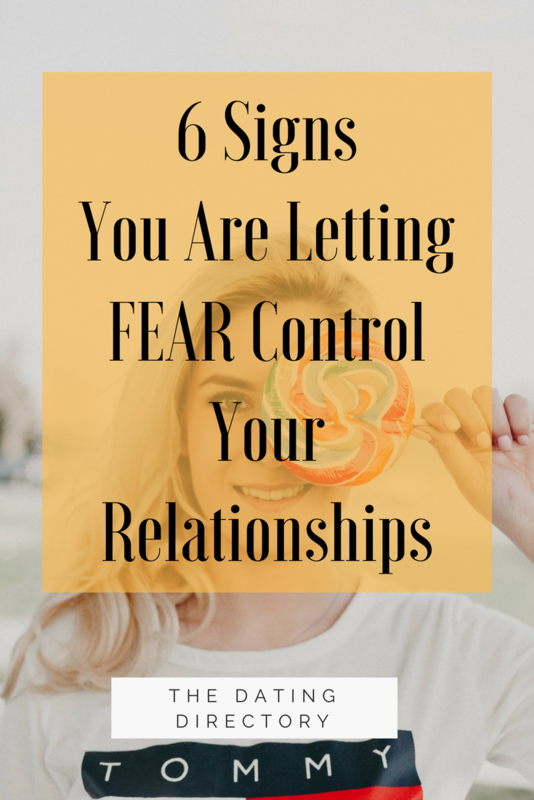 6 signs you are letting FEAR control your life and relationships. we’ve all had those seasons where we just want to throw in the towel because we’re over it! It’s hard to know when certain times in our life of pain , frustration or confusion will come to an end, but it can become even more difficult to progress forward despite circumstances when we let fear control our mind, heart and decision making. The problem is that most of the time we aren’t aware of what it is exactly that is hindering us from living in our full potential and being happy , we usually have some idea of the good and bad things in our lives , but often we can either be in denial or just so caught up in our issues that we lose perspective and can’t pinpoint exactly what needs to change. If you can identify with 6 of these situations then chances are you are letting your fears control the way in which you live your life. 1: You are scared of change. 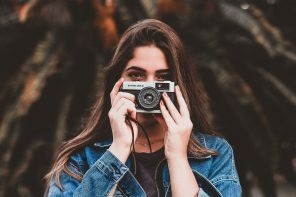 This isn’t about making the little changes like cutting your hair shorter or deciding to give almond milk a try , I’m talking about the main issues in your daily life that are impacting you in every possible way . The problem is, when we let fear control our life, it lulls in into a false sense of security that the familiarity is better for us then stepping out into the unknown. Yes there is a risk of not knowing what will happen when you decide to change your job, leave your broken relationship or chase your dreams , but choosing not to change and stay in the exact same circumstance that is making you happy will only continue to keep you stagnated and anxious. Change is eventually inevitable for everyone , however it doesn’t automatically have to signify as something that is negative. 2: You prefer to stay in a toxic situation rather than leave. Again this can relate to the fact that you are scared of change, however this is more specific to the fact that you are more comfortable in an environment you are familiar with , conditioned to and able to control in some way. We often are baffled by women who choose to stay with an abusive partner , I mean why does she put up with it? Why doesn’t she just leave? 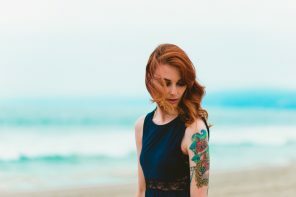 This is usually because of two reasons: 1: she lives in fear of her life or what her partner might do to her or himself ( emotional blackmail) or 2: She is familiar with the pain and knows how to manage it, control it to some degree and to break free brings a fear of uncertainty and a new vulnerability. Either way she is control by a circumstantial fear and finds it incredibly hard to break free. 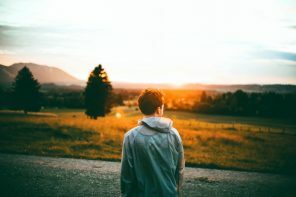 The problem is , if we wait for the circumstances to be right we may never be able to find the strength to walk away from a desperate situation, however taking practical steps daily along with professional advice and support is a good place to start. 3: You aren’t happy being alone and single. Whilst we all love romance and fairy tales, they unfortunately put this notion into our head that if we aren’t hitched to a guy by a certain age then we will die alone with 24 cats and be eaten by Alsatians! Err… Wrong! Do not let your fear of being alone force you into compromising your standards just so you can be with someone. Yes love is a massive part of our happiness and there is nothing wrong in admitting that, after all we weren’t created to be alone, but don’t forget that the greatest love you can have is the love you have for yourself because that is what will really determine your happiness, not a man! 4: You let your past control you. Perhaps you have a fear of being hurt, failing or not being good enough, so instead of taking risks , you build a massive wall around your heart and mind where you feel all safe and protected in your little bubble. No one likes getting hurt , and failure is something we plan on, but we can not let our past control our today and shape our future, you are more than your past and it shouldn’t define you. No one is perfect and love is a wild game that takes daily wisdom and decisions to make it successful and fulfilling, so to live your life in such a way that holds you back simply because of something that happened 3 years ago is just plain silly! The problem is that we forget that we and only we are responsible for our happiness and we have the power to make better choices every day. 5: You compromise your self worth and dreams for less. This is usually an indication that you have a fear of missing out ; missing out on a marriage , or babies or earning a certain amount of money or whatever you desires are , you would rather settle than take the chance of waiting for something more. It could also indicate once again that you have a fear of ending up alone and so you just decide to take whatever comes along so you can fill that hole. Basically if fear was a thing it would be a mouse with a microphone pretending to be a lion! You get my point , we give power to our fear when we start letting it control our heart, mind and daily decisions, but in actual fact we can shut it up and choose to have power over it by re affirming what is actually the truth: you are loved, you are enough and your dreams are worthy and worth the wait, you aren’t going to miss out!! 6: You don’t have peace or progress. This is a big sign that you are letting the power of fear slowly take over your life. Perhaps you are anxious every day or just feel like you are never getting anywhere and walking in a cloud of confusion and frustration. Life isn’t simple, it’s not black and white at times and we do have to take risks whether we are prepared for the outcome or not. The good point though is that every day is a new chance to make better choices that will nurture peace and progress in our life and that life is not a test we can pass or fail but rather a journey that is weird and wonderful along the way.